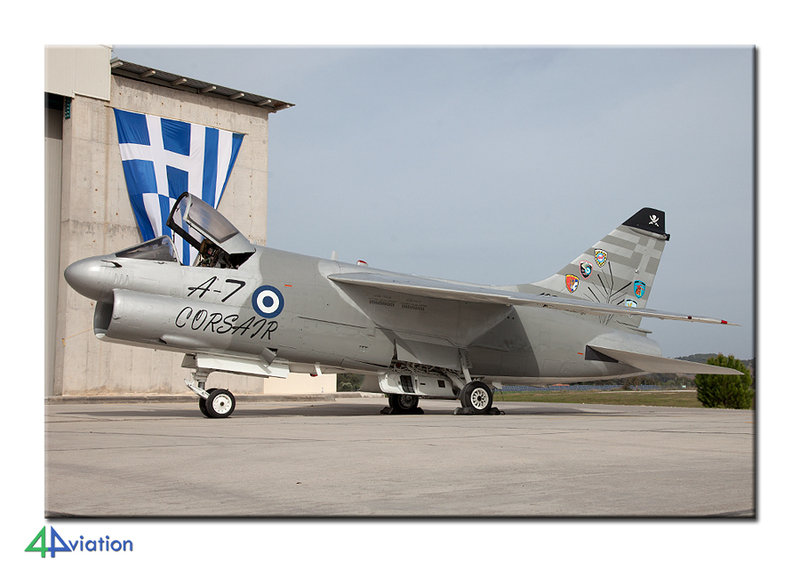 At the end of July it was announced that the Hellenic Air Force was to organise an open day for the withdrawal of the Ling Temco Vought A-7 Corsair II. 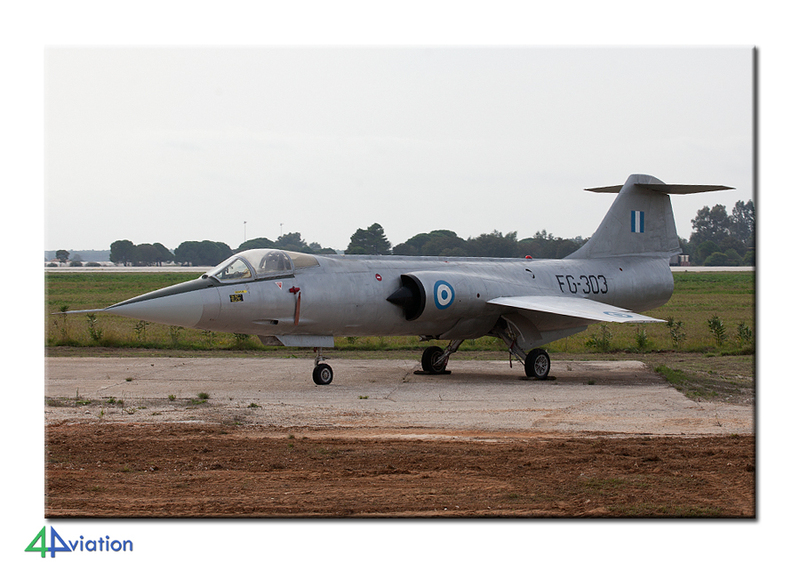 This fighter was developed for the United States Navy in the early sixties and was later modified for the Air Force. 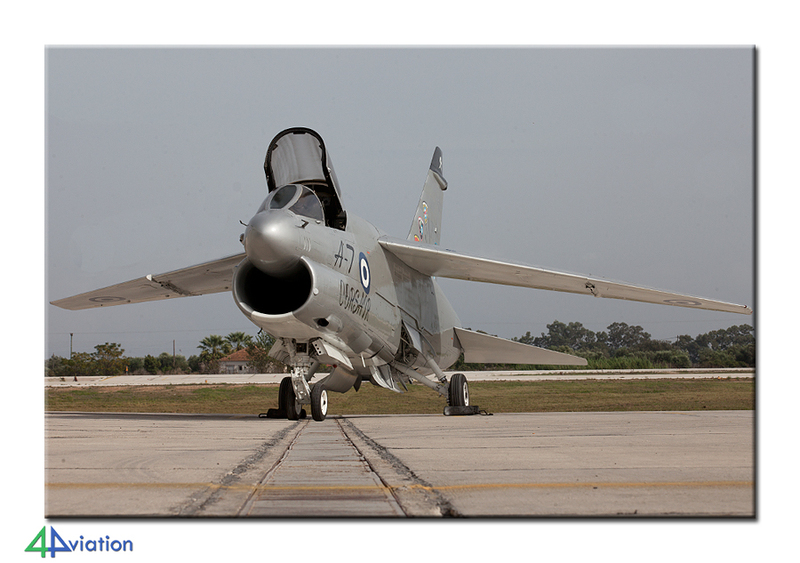 The Hellenic Air Force ordered 60 A-7H aircraft in 1974, a variant of the navy A-7E. 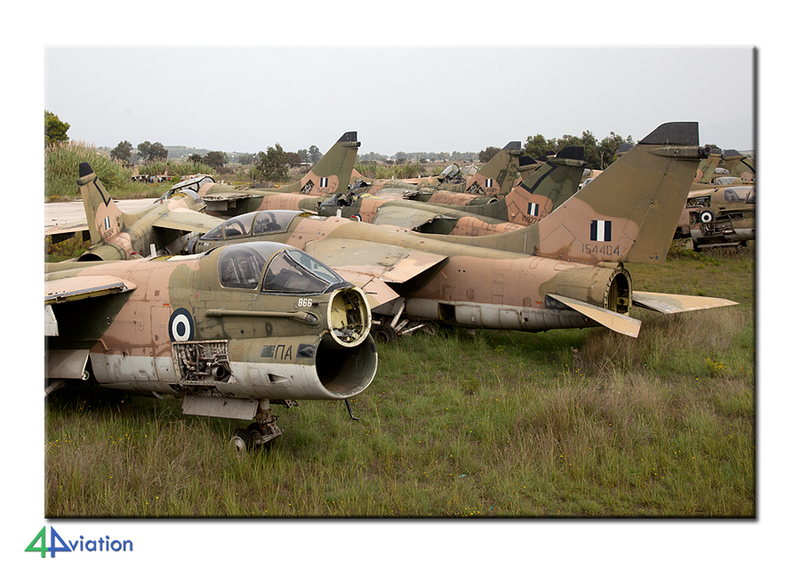 These were slowly replaced by second-hand, and extensively overhauled, A-7E and TA-7C aircraft. Now the end for these oldies had finally come. 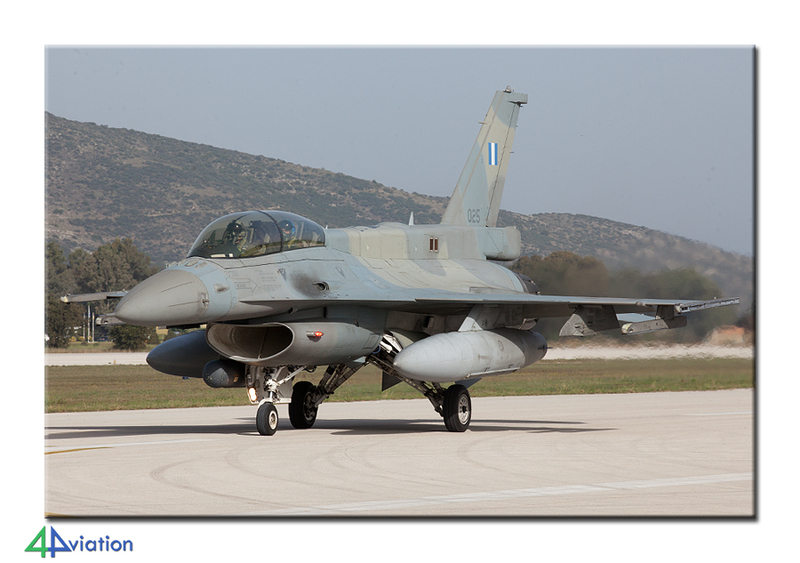 4Aviation immediately contacted the air force about the programme and it was soon clear the a spotters day would be added to the ceremonies. 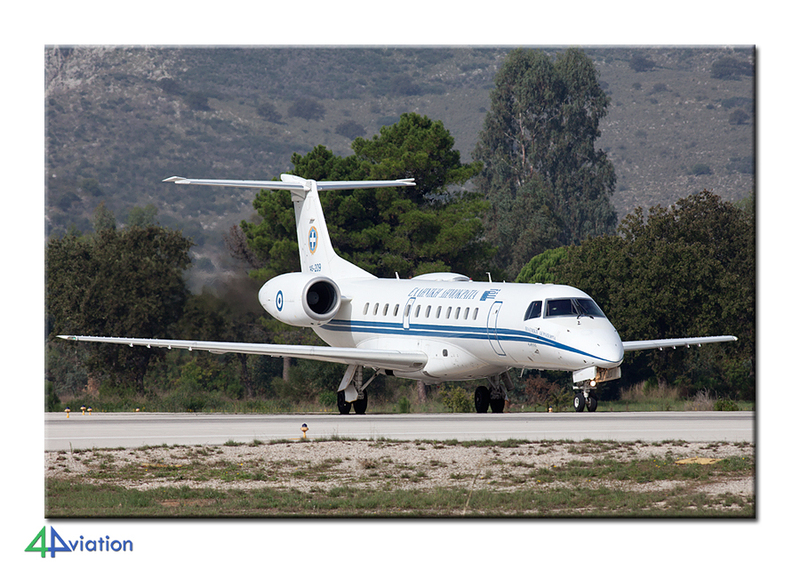 We then created a tour to Araxos in the West of Greece. Because of the popularity the group size increased to 32 people from five countries that would head to Athens using seven different flights. The majority of the group gathered early at Schiphol on Wednesday 15 October. The check-in with Transavia was smooth and after a flight of about three hours we landed in sunny Athens. There it took some time for all other participants to arrive from Amsterdam-Schiphol, Berlin, Brussels-Charleroi, London-Heathrow, London-Stansted and Vienna. 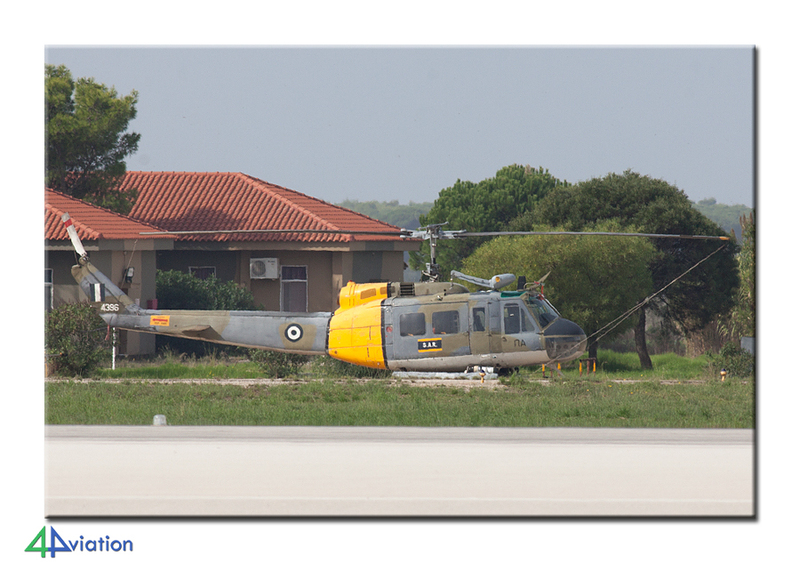 In the meantime the four spacious rentals vans were collected, during which we saw an Egyptian C295 take off, and we were able to go to our hotel in Nafpaktos. 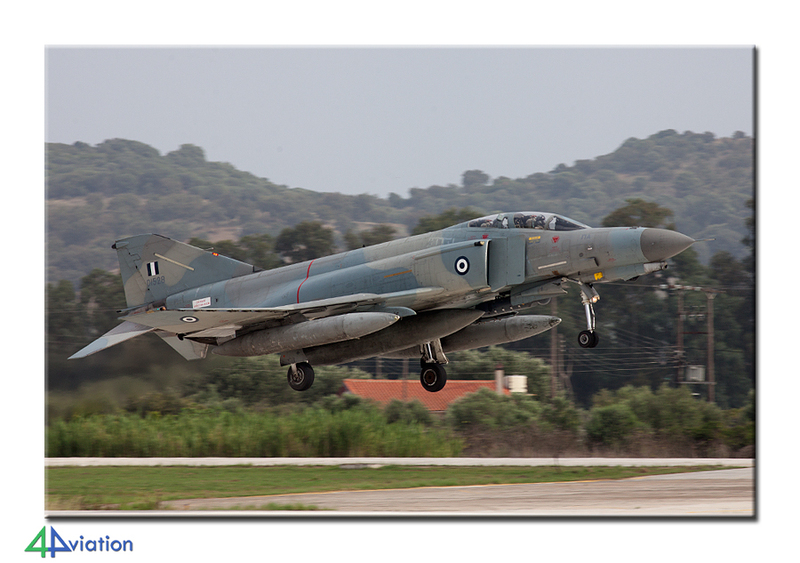 Underway we visited an old Starfighter in Aigio. Near the hotel were plenty of options to eat and drink in order to make it a nice and comfortable end of the day. The hotel had arranged an extra early breakfast on Thursday 16 October, since we needed to be on the road by 06.30 on the morning. It took exactly one hour to get to the base. On arrival there, the registration procedure was rather smooth and soon after we were on our way to the 336 Squadron area, on the East side of the base. 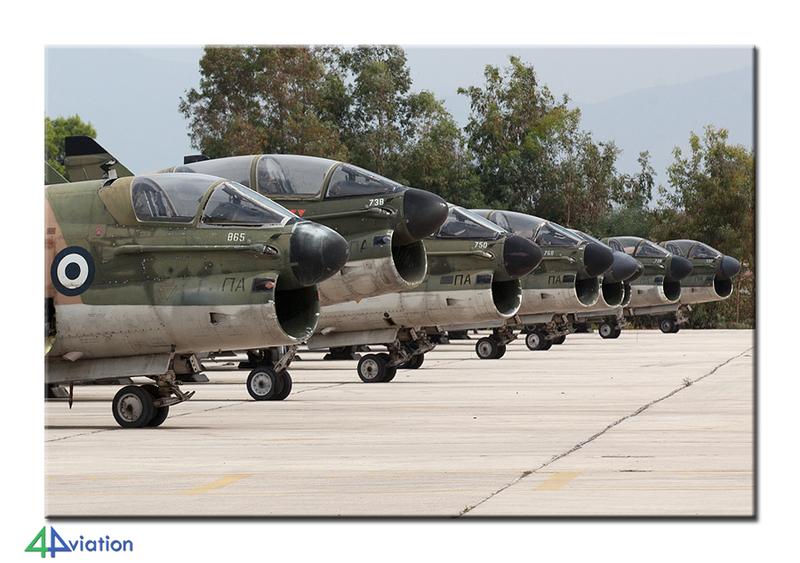 Here some A-7s were lined up that were scheduled to fly. A little further there were some aircraft that should be active according to the books and several A-7s that had been withdrawn recently. A little further again there was a large collection of Corsairs that had been withdrawn longer and had been in use as a spares source. 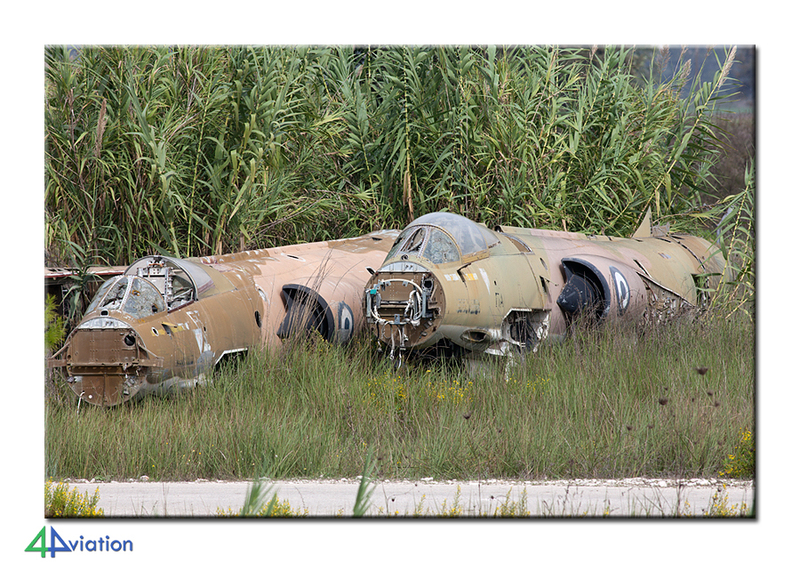 Finally, overgrown by weed, two dozens of A-7 and F-104 that were dumped on a pile. Large areas that were clearly defined as accessible and where everybody could enjoy the A-7. 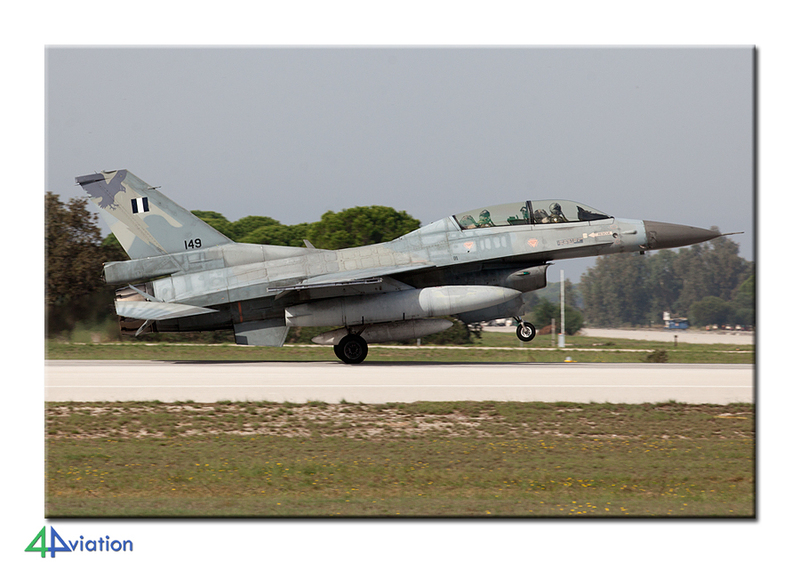 Meanwhile some F-16 of the neighbouring 335 Mira flew and an Embrear visited. 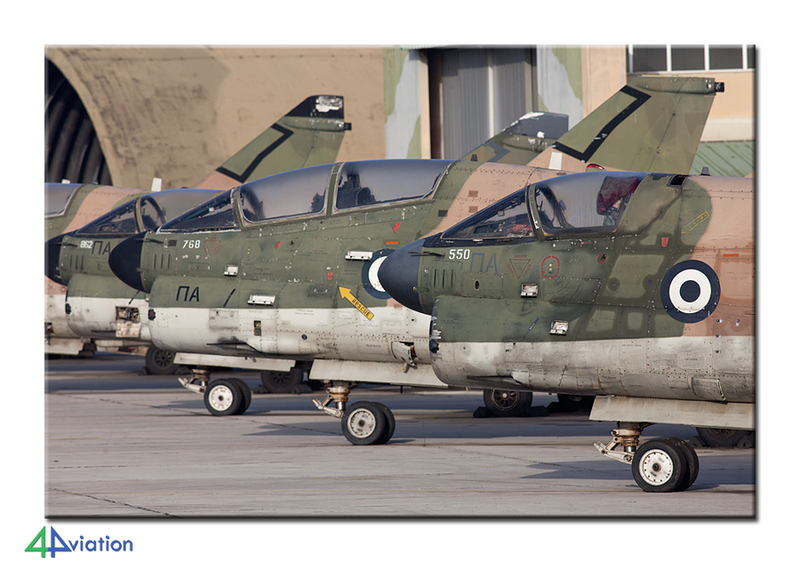 In the afternoon everybody moved towards the taxi track were some A-7s would pass by several times and demonstrate their airworthiness. The weather was perfect the entire day and everybody was able to shoot the final operational shots of the type that he was hoping for. Later than originally planned we returned to the hotel to enjoy a nice evening. The official retirement ceremony was held on Friday 17 October. This was on the West side of the base. 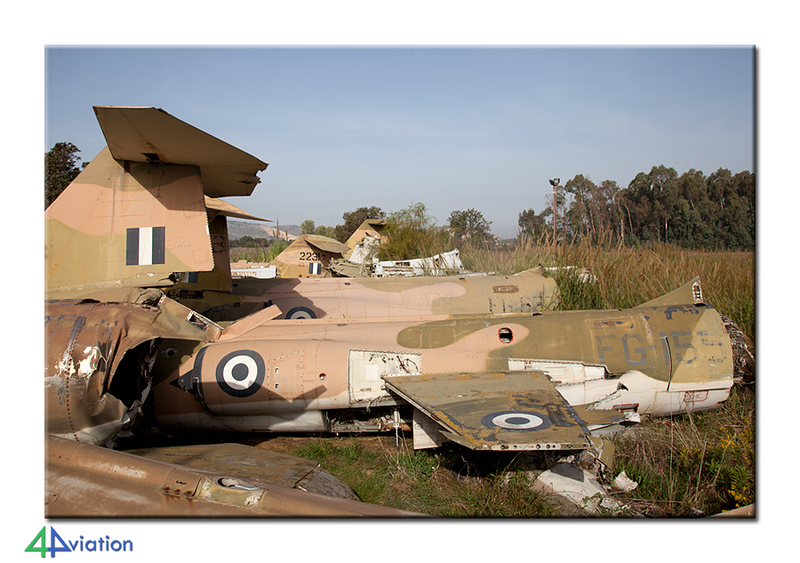 A static display had been prepared of some A-7s and F-16s. 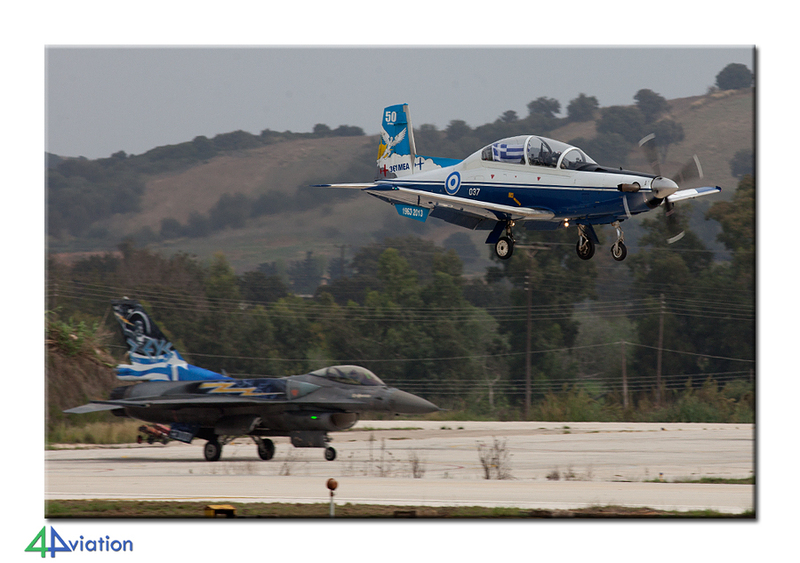 Some F-16s flew a sortie and a C-27 and C-130H brought in some guests. 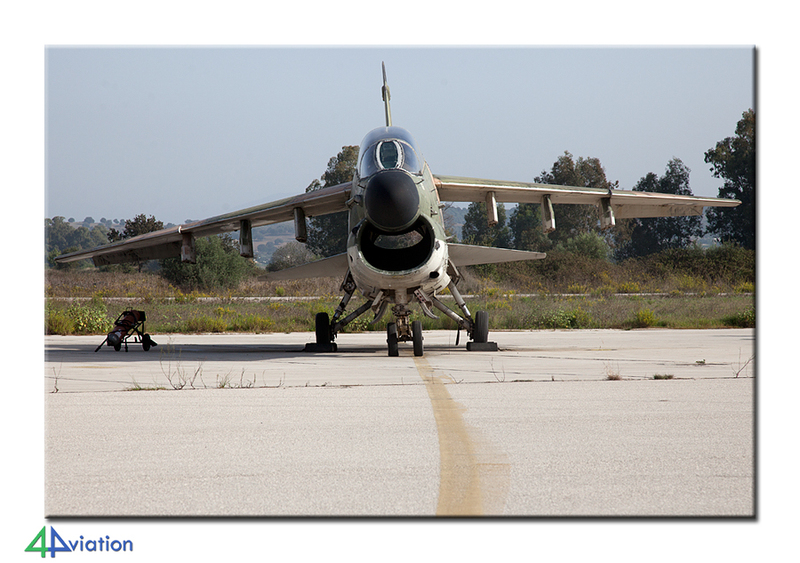 Luckily the official ceremony, during which an A-7 was revealed that had been given a special colour scheme, took a little longer than scheduled. This meant that the flying activities took place around noon, when the sun had almost reached a favourable position. 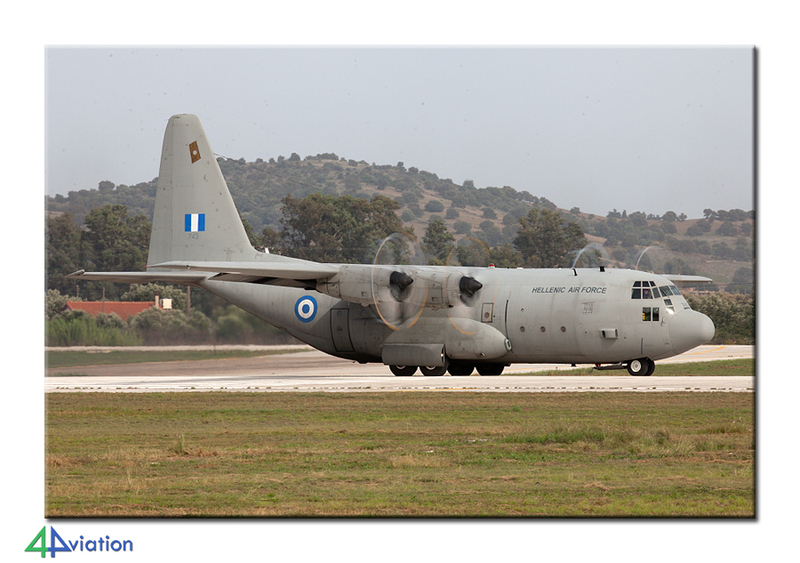 In the meantime a C-130 was noted above the air base. 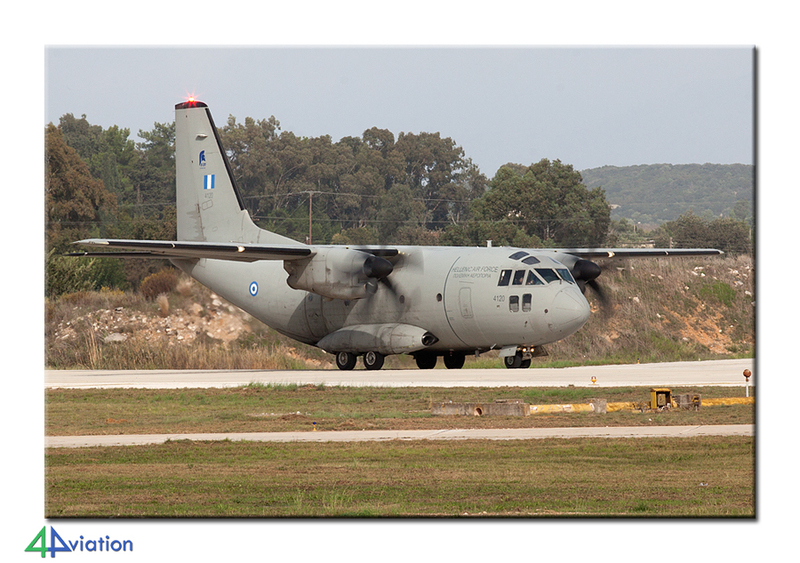 This turned out to be an Afghan Air Force aircraft on its way from Athens to Malta. 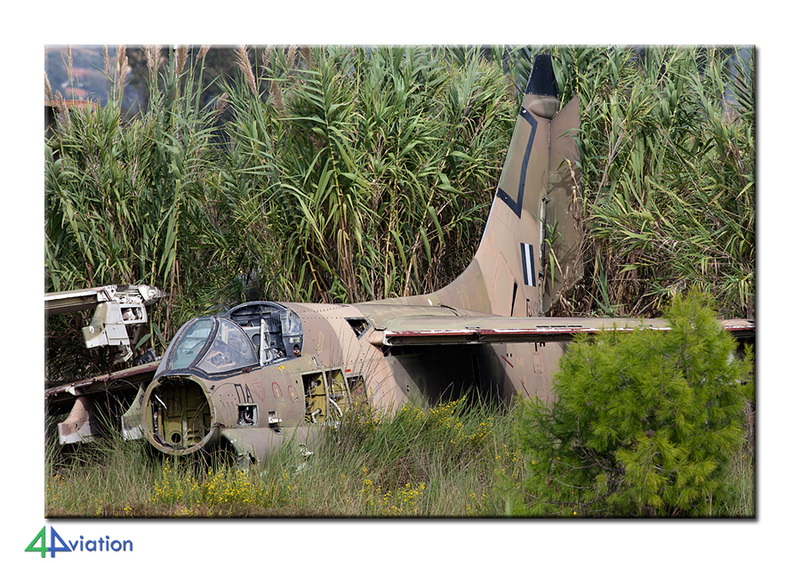 Despite the fact that four A-7s were sent to the runway threshold only two took off. These flew by for the audience a couple of times. 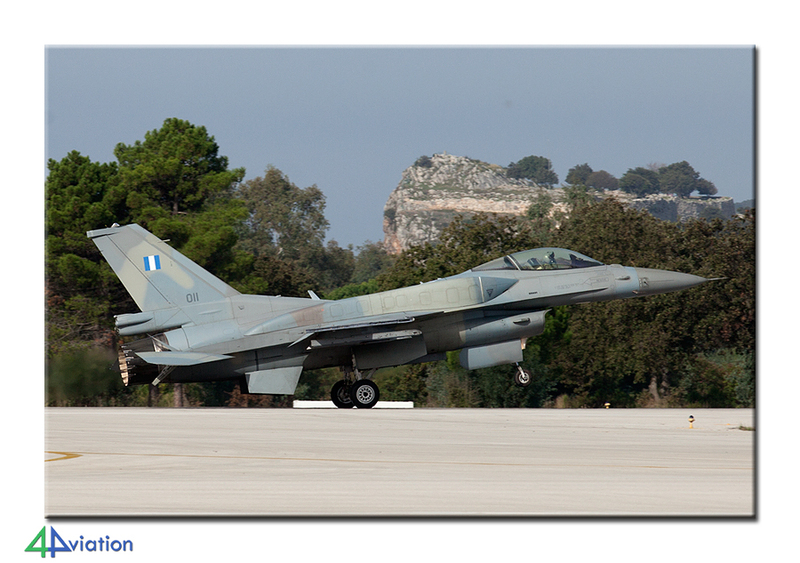 This was followed by a demonstration of the T-6 demo team and Zeus, the Hellenic Air Force F-16 demo. 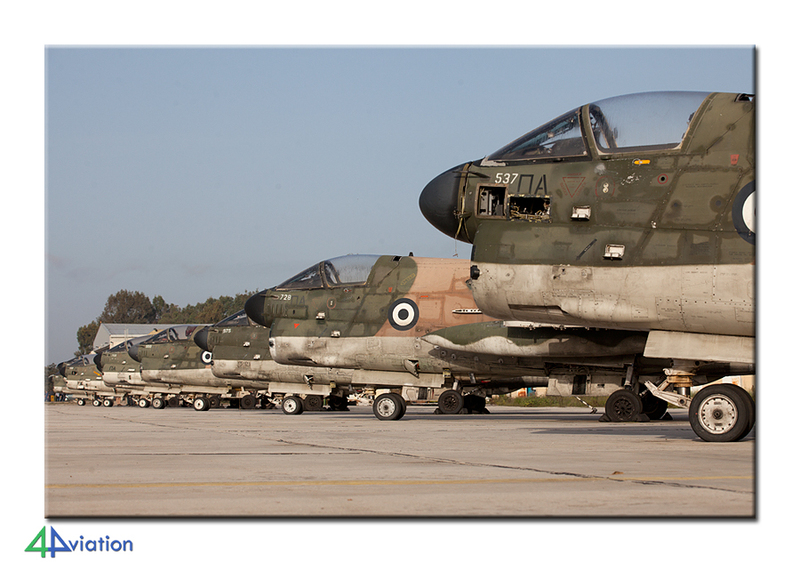 Then a box formation followed of an A-7, F-4, F-16 and Mirage 2000. The Corsair left the formation to represent a ‘missing man’ manoeuvre. 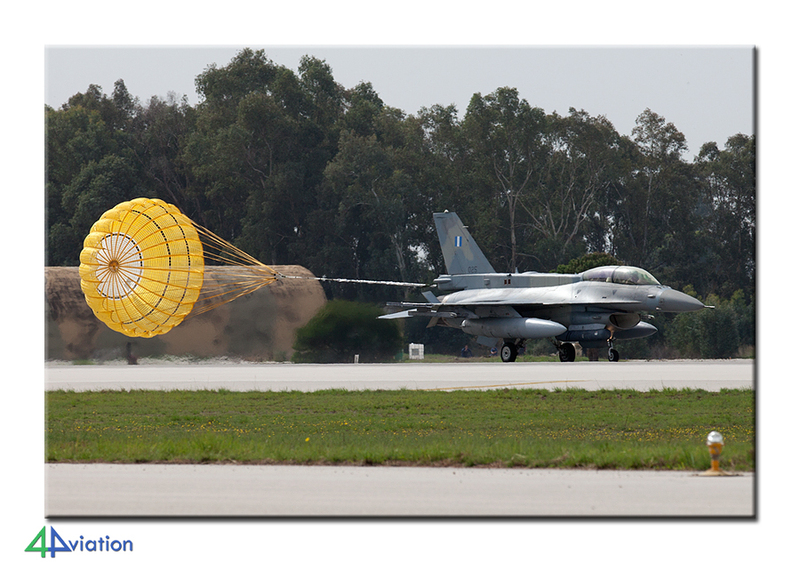 The majority of the visitors had by then left the base but we stayed to be able to capture the participants of the formation during landing and to see the transport aircraft leave. 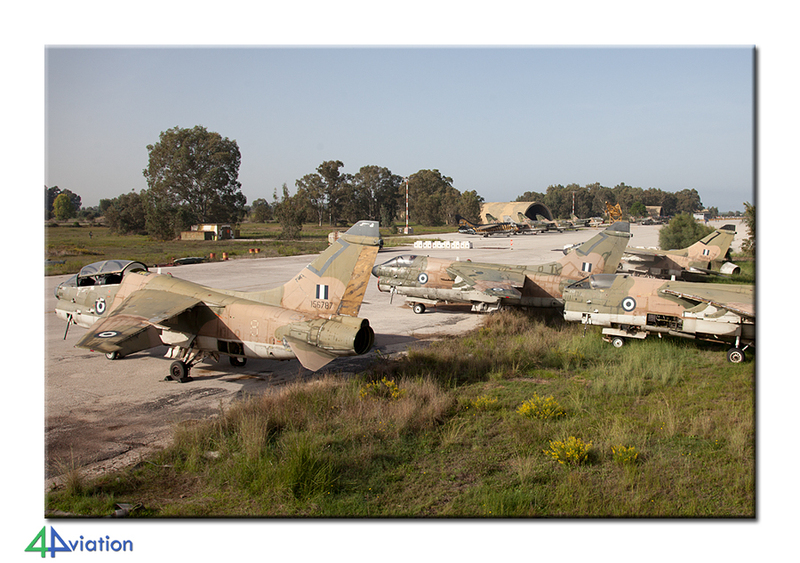 In addition an extra F-4 landed and eventually the special colours A-7 was town out for us. 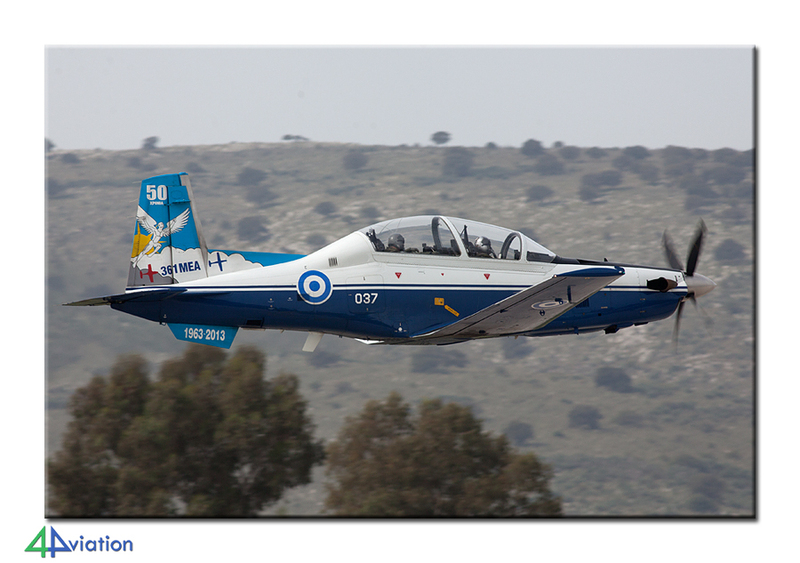 During this the Greek authorities showed real understanding for our hobby and were very patient and cooperative until the very last moment. After this was all the group of white vans headed for Athens again. Here a final night in a hotel was planned before the majority of the group returned home again on Saturday 18 October.